An American classic gets a serious flavor upgrade in this Chorizo Meatloaf. 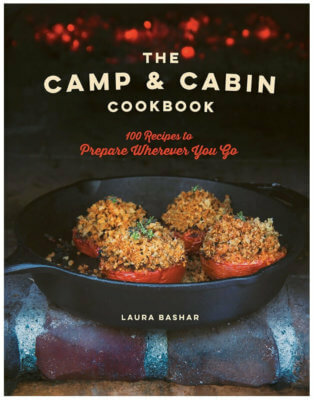 It will certainly become your new family favorite! Then, they grow up. And they look at you and they don’t see superheroes anymore. They see two human beings. Two FLAWED human beings. And in my almost-10-year-old’s case, two seriously flawed human beings who don’t know as much he does. This wasn’t supposed to happen so soon. I expected this stage during the rotten teen-age years. Why is my adorable Professor ignoring our sage advice? The Professor has heard people tell him (and his loving parents) how smart and mature he is. And now I believe, it’s gone to his head and he thinks that he’s smarter than us. We remind him that if he’s so smart, he should move out and earn a living. You know, the standard parent response. He doesn’t know everything. He doesn’t know better. And, my favorite, Mommy was right. Okay, Daddy, too. I’m sure this lesson will be forgotten on the next time he doesn’t want to take my advice or too lazy to do Daddy says. But, I will happily remind him of today and the “I told-you-so” moment I usually save for my husband. Apply non-stick spray to a large roasting pan. 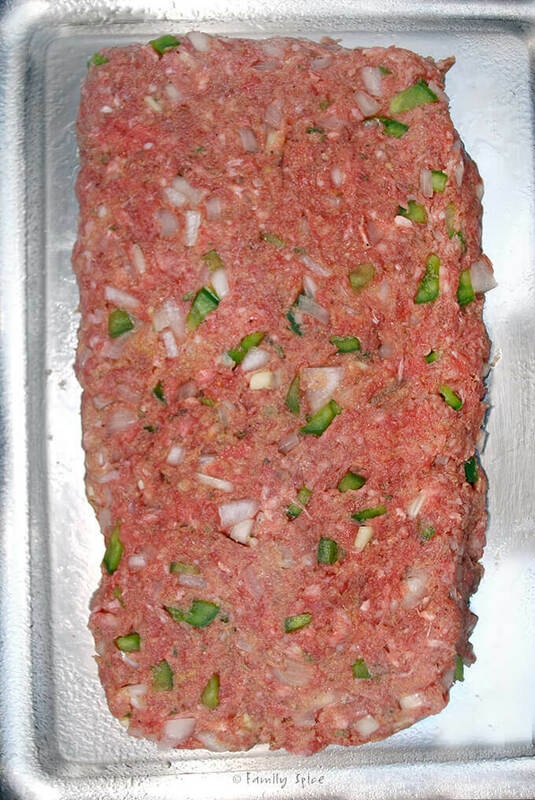 Pat half of the meat mixture into a rectangle about 9x4 inches onto the prepared roasting pan. 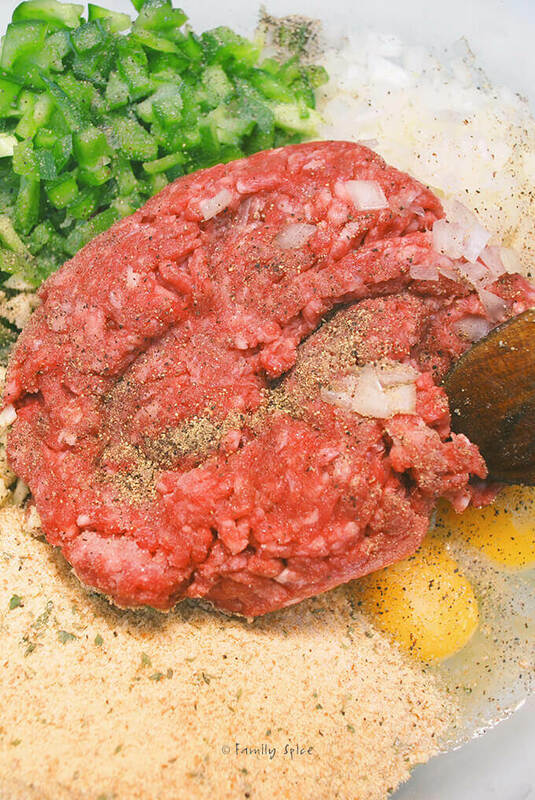 Mold the remaining meat mixture around and over the chorizo to cover it completely. Bake in the over for 1 1/2 hours, basting occasionally with the pan juices. 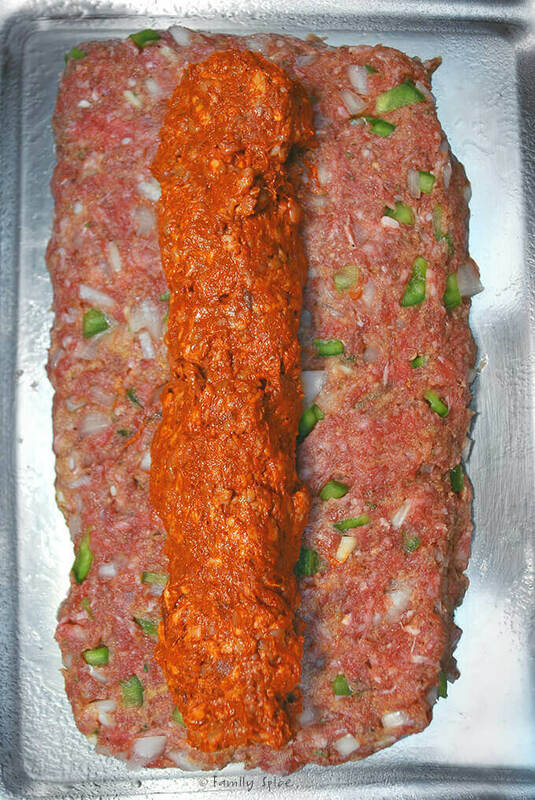 With a large spatula, carefully transfer the meat loaf to a serving platter and serve. 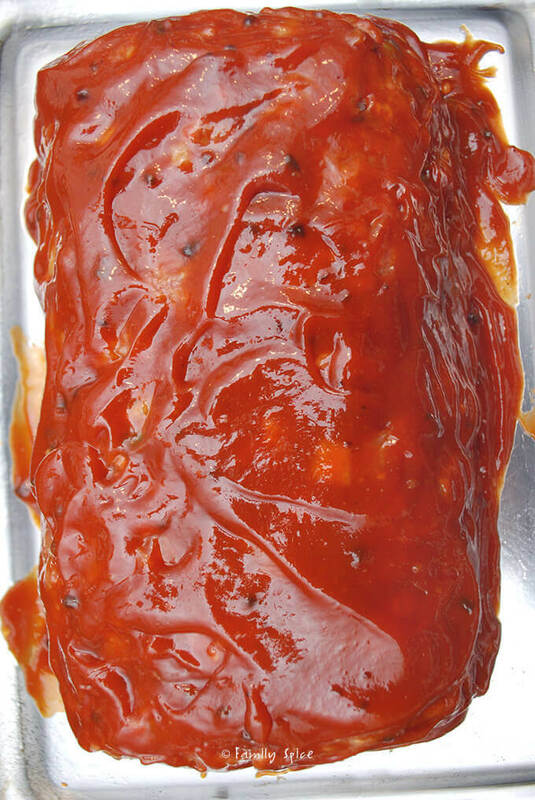 Cooking Tips: * For a milder sauce, use ketchup or a combination of ketchup and chili sauce (pictured above). Previous Post: « Time to Get Smart and February’s YBR! I think I drove my parents crazy way before the teenager years. But I am sure it is a nice feeling. You should log this away and bring it up whenever he is acting cocky. I'm sure he is very smart and adorable. one day he'll listen again. Wow, that looks really tasty!! Thanks, Merut. Parenting really is the hardest job I ever had. I was the perfect child, so I don't know anything about driving my parents crazy… ha! ha! Mary – thanks for stopping by! Too funny. My kids aren't quite there yet, but I can feel it coming! 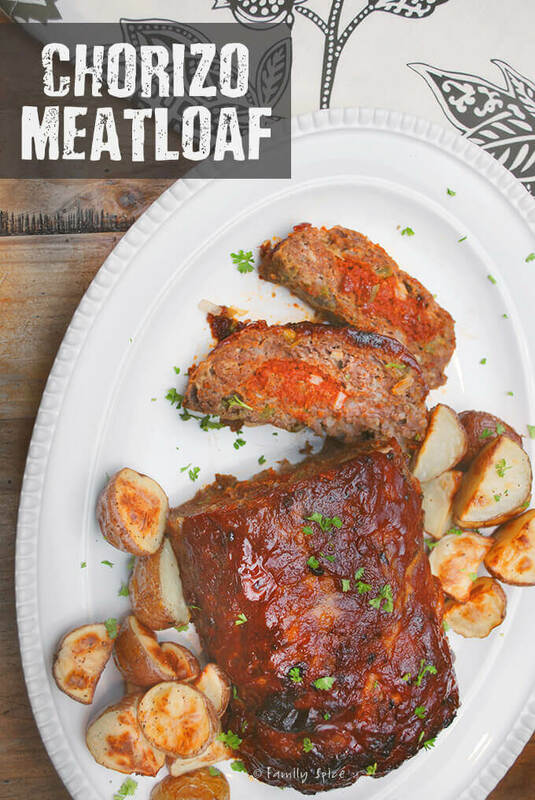 too true about the kids 🙂 Loving the idea of the chorizo inside the meatloaf, so delicious!